I don’t drive my car much. Do I still need it inspected? | Topline Automobile Inc.
Home Blog I don’t drive my car much. Do I still need it inspected? I put about 3,000 miles on my car each year, do I still need to bring the car in to the shop for an inspection? We can understand why you might think it’s not necessary to have the car inspected regularly since you are driving it so infrequently. However, it’s a good idea to take your car in at least once per year even though you’ve barely driven it. The main reason to have all cars in use on the roadways annually inspected is for safety purposes. Items such as tires (and tire pressure), windshield wipers, various fluids, and the braking system all contribute to safe driving. 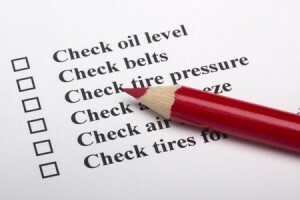 By having these items checked regularly you can be assured of the safety of your car. The good news is that this type of inspection will be easy on your wallet!